Very seldom that I would fill my Pandora bracelet. This is loosely filled including 6 dangle charms. The size 2 bangle is a little too large for me so if I fill it, it fits better. 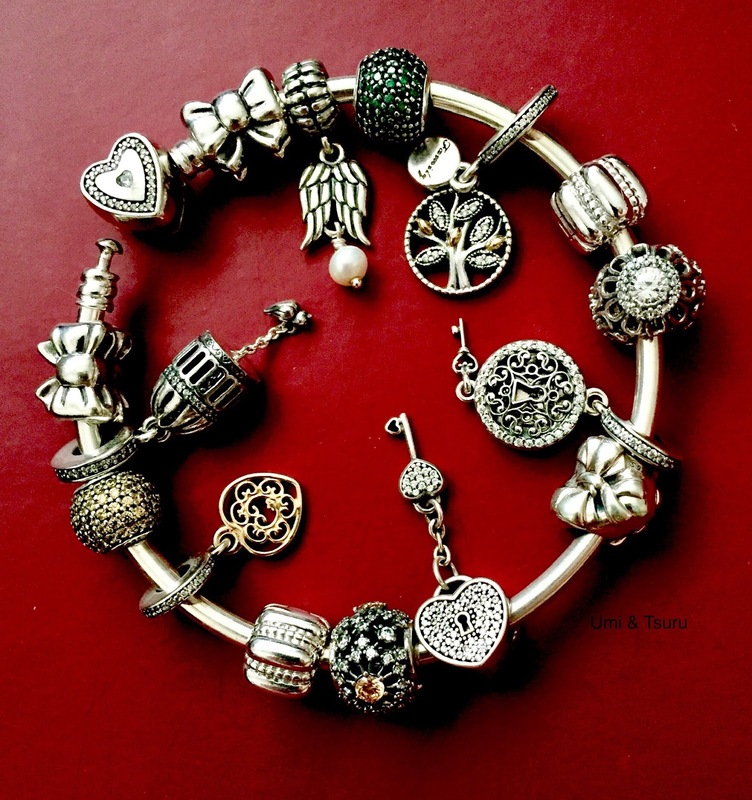 Otherwise I do prefer my bracelet with charms just in the middle section. They keys are so tiny :) pretty bracelet!